The Office of the Provost is now accepting nominations for the Walker and Doris Allen Fellowship for Faculty Excellence. The Allens established the Fellowship in 2000 with a $250, 000 contribution, one of the largest gifts ever made to the Truman State University Foundation. The $10, 000 Walker and Doris Allen Fellowship recognizes outstanding faculty members who have made exemplary contributions to the success of the University and its students. Up to three faculty members are selected each year. The Fellowships are open to all tenured or tenure-track faculty who have completed at least four years of full-time service at Truman. Eligible faculty may be nominated for the Fellowship by Truman faculty colleagues or academic departments. Previous recipients are not eligible. To date, the program has recognized 27 faculty members with this award. The 2010-2011 academic year is the final year this program will recognize outstanding faculty. To nominate an eligible faculty member, send a letter of nomination to the Office of the Provost addressed to the Allen Fellowship Selection Committee. The letter of nomination should be no longer than one page and should address how the faculty member fulfills the selection criteria. Please deliver a signed hardcopy of the letter to McClain Hall 203, send it through campus mail or fax it to 785.7460. Nominations are due to the Office of the Provost by 5 p.m. Nov. 17. See http://academics.truman.edu/allenFellowship.asp for more information, including the selection criteria and a list of prior recipients. The Harry S. Truman Presidential Museum and Library in Independence, Mo., is seeking two University interns for summer 2011. All Truman juniors and seniors are eligible for the internship. Interns are expected to possess strong written and verbal communication and organizational skills, the ability to work independently on multiple tasks and basic computer skills. Interns should also be dependable and self-starters. While the position is unpaid, each intern will receive a scholarship covering in-state tuition for five hours of credit for this eight week, 40-hour position. Up to 10 hours of credit may be earned. After being selected by a University committee and museum and library staff, the intern may work in a variety of areas including, but not limited to: archives, public relations, marketing, educational programming, museum development and visitor services. The intern’s assignment will be based on the their abilities and interests and the library’s needs. Along with day-to-day duties, interns are required to prepare a paper on their experiences at the museum and library and on a specific study of President Harry S. Truman. The internship schedule will provide time for the intern to conduct research for this project. The scholarship for this internship has been made possible by an endowment set up by the family of Fred and Ethel Schwengel. For an application to this internship, contact Jeff Gall of the Department of History at 785.7747 or jgall@truman.edu. Applications are due by Dec. 6. Nine local organizations were honored for their commitment to service work with Truman at the Community Partner Appreciation Luncheon Oct. 28. 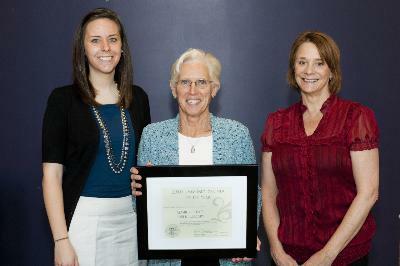 The Adair County Public Library received the 2010 “Community Partner of the Year” award. The library hosts seven scholarship and work-study students and partners with education classes at the University. It also teams up with student organizations such as Circle K, Phi Sigma Pi, Alpha Sigma Gamma, the National Education Association and Alpha Phi Omega to provide innovative educational programming for more than 500 children. Baillie Cloyd (left) of the Center for Student Involvement presents the “Community Partner of the Year” award to Glenda Hunt, director, and Gina Rybkowski, reference librarian, of the Adair County Public Library. The RAP gifted program at Ray Miller Elementary, headed by Truman alumna Lori Pinkston, worked with Teri Heckert’s motivation and emotion course for service-learning projects. Kirksville K-Life utilizes up to 50 Truman volunteers each semester in order to personally, socially and spiritually mentor nearly 200 youth in the area. K-Life also recently started partnering with the Juvenile Justice Center and Preferred Family Healthcare to extend its impact in the community. Greg Xander, through his role as campus minister of the Baptist Student Union, as well as his former position at the Northeast Missouri Community Action Agency, has supervised several service-learning projects and coordinated service projects. The Northeast Missouri Community Action Agency has also worked with Truman through service-learning projects. Rubana Mahjabeen’s economics course focused on the feasibility of starting a micro-credit program in Kirksville. The agency supplied participants for the study, provided support for students and made it possible for the course to include a service-learning project. The La Plata Food Bank, coordinated by Stephanie Allen, partners with various Truman student organizations to distribute food and toiletries to needy families in the area. The Manor Care Center, through activities director Nancy Price, works with student service organizations, the Big Event, the MLK challenge and the summer Upward Bound program to provide activities for residents and opportunities for students to build community in Kirksville. Foster Families of Adair County, under the direction of Sheila Jones, partners with the Student Public Health Association and students from A.T. Still University to provide activities for more than 50 foster children in the area and assists with the opening of the new consignment shop. Award nominees were evaluated according to the following four factors: creating and sustaining opportunities for service for Truman constituents; actively working with Truman to meet community needs; strengthening student learning and development through service; and sustaining the collaboration over time. Hosted by the Center for Student Involvement, the SERVE Center and the Public Relations Office, the Community Partner Appreciation Luncheon took place to thank those who serve the local community, recognize outstanding community members and agencies that partner with Truman for service and foster discussion and partnerships amongst those in attendance. The event was funded by the Missouri Campus Compact. The Speech and Debate Team brought back 12 awards from two individual event tournaments and one Lincoln-Douglas debate tournament in Omaha, Neb., Oct. 22-24. In debate, the team competed against 14 other schools. With six competitors in varsity and two in junior varsity, the team placed fourth overall. Senior Dylan Clark led the team, making it to semifinals. Of the 43 total varsity competitors, Clark received a ninth place individual speaking award. Freshman Nick Gorman made it to the varsity octofinal elimination round, receiving a fourth place individual speaking award. In the junior varsity division, Kory Anderson competed against 12 other competitors. Anderson made it to the semi-final round, meaning he was in the top four competitors based on win/loss record. All three of these debaters are now qualified to compete in the National Forensics Association Championship Tournament in April. In individual events, the team faced 13 schools in two separate tournaments at Creighton University. Sophomore Jessica Petrie made it to the final rounds in all events in both competitions. Petrie placed first of 16 in extemporaneous speaking, second of 21 in persuasion, and third of 33 in impromptu speaking. In the second competition, Petrie placed first in persuasion, second in extemporaneous speaking, and third in impromptu speaking. Junior Mel Kapitan also made it to the semifinal round in impromptu speaking on the second day. For more information about Truman Forensics, contact Kristi Scholten, director of forensics, at kscholten@truman.edu. Phi Sigma Pi’s first annual “Dance ‘til You Drop for TFA” dance marathon raised more than $250 for the organization’s philanthropy, Teach for America. The four-hour event featured performances by True Men, Sweet Nothings, the University Swingers, Illusion Danz Team and TSODA. Twelve teams of dancers competed for prizes donated by local businesses, with a grand prize iPod Shuffle being given away at the end of the night. Teams earned tickets for the drawings by staying on the floor, showing enthusiasm, competing in a dance-off and sporting costumes. The Student Union Reservation Office will accept reservation requests for Spring 2011 from 8 a.m.-8 p.m. now until Nov. 11. All requests must be submitted in writing on a reservation form, available at http://studentunion.truman.edu/lottery and turned in to the Student Union Building Room 2000. Confirmations will be mailed to organization mail boxes by Dec. 10. For more information, contact 785.4186 or union@truman.edu. Nov. 12 • 7 & 9 p.m.
Nov. 13 • 2 p.m.
Nov. 19 • Closes at 5 p.m.
Nov. 22-23 • 7 a.m.-5 p.m. The Missouri Government Internship Program offers a unique opportunity for students to intern at the Capitol in Jefferson City, Mo., with a public official, legislator or state agency during the Spring 2011 semester. Interns receive a stipend of $2,500 and up to 15 hours of credit. Applications are available online at http://career.truman.edu/Internships/mogovBrochure.asp. Interviews are currently being conducted, but it is not too late to apply. For more information, contact Heidi Templeton at 785.4016 or heidi@truman.edu, or Candy Young at 785.4650 or cyoung@truman.edu. Truman’s final home game of the season will be broadcast on television in several markets throughout Missouri. Students are encouraged to come to the game and show their spirit. Several crowd shots throughout the game will provide a chance to be on TV. The Pregame Show will begin at 2 p.m. This course provides an overview of learning preferences of the millennial generation as well as the learning styles that make Truman students unique. After exploring the learning technologies and delivery methods available at Truman, participants will experiment with the tools and strategies to help them decide which are best for their courses. This online workshop provides the flexibility of attending at the participant’s convenience. For registration information, contact Susan Thomas at sthomas@truman.edu. The Career Center has created a new Career tab on TruView, which provides a comprehensive checklist to prepare students for internships, jobs and/or graduate school. The tab has links to resources to a variety of campus departments. There is also a section to report employment or graduate school plans as well as completed internships. This database contains full-text of more than 1,000 newspapers published between 1690 and 1922, allowing a firsthand look of the United States during the 18th, 19th and early 20th centuries. It can also be found by searching the library’s “Databases A-Z” list. Beta Theta Pi is offering two $250 Men of Principle Scholarship for non-Greek men. Applications can be found online at http://zeta-xi.com/rush/men_of_principle_scholarship. Applications are due by Nov. 28. For questions and concerns contact Mason McCoy at mem1322@truman.edu. Application does not commit membership in any organization. Check out the SUB and the residence halls to view flags from around the world. 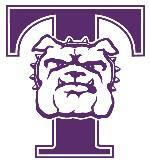 Open voting will occur all week online at Truman’s website with the winner announced on Thursday. Kick back, relax and enjoy diversity. Enjoy food, performances from different cultural organizations on campus, and a screening of the movie “Lage Raho Munna Bhai,” a comedy about nonviolence. 5:30–7:30 p.m. • Student Union Building Georgian Room C.
A chance to experience Asia—featuring cultural booths, free snacks, hands-on activities, games, bubble tea and more. Learn more about the various cultures represented on Truman’s campus. People from around the world playing the most popular sport in the world. Come for an opportunity to discuss the current situation in the Middle East with a panel of professors, including Michael Rudy and Mark Appold. Interested in studying abroad? Truman offers programs on six continents in more than 55 countries. Find out where YOU could study! Truman students who have traveled the world share their adventures and experiences. Professor Celia Alpuche May talks about the life and music of Latin singing sensation Selena Quintanilla-Pérez. Karaoke to follow! Sharing their favorite bedtime stories, Truman students from around the world will tell folk tales from their native countries to children at the Adair County Public Library. International face painting and cultural games. A French play with English side titles. Want to learn how to cook a new, unique dish? Come to the International House and learn how to prepare international cuisine! Come by the SUB to learn the ancient art of origami and other fun cultural crafts. Sponsored by International Club. Come join some informal conversation over dinner and polish your language skills. Come hear a group of Truman’s own international students discuss what it’s like adjusting to the American educational system. Opportunities for Q&A. Globalization, Democratization and State Autonomy with Jaekwon Suh. African food for lunch. $4 per plate on the quad. Drop by to get your picture taken in fun, festive and foreign attire. Emilee Barnard, a senior art major, had her work juried into the third annual “Cup Show: Form and Function,” sponsored by the Gulf Coast Community College department of art in Panama City, Fla.
Huping Ling, professor of history, received a contract by Stanford University Press for her book “Chinese Chicago: Race, Transnational Migration, and Community Since 1870,” which will be released in 2011. Her article “Chinese Chicago: Transnational Migration and Businesses, 1890s-1930s” has also been published in “Journal of Chinese Overseas,” Vol. 6. Matthew Tornatore, professor of foreign language and linguistics, had his review of Eugenio Tosto’s latest book “Edmondo De Amicis e la lingua italiana” published in “Forum Italicum.” The book is an excellent study of De Amicis in honor of the 100th anniversary of the De Amicis’ famous L’idioma gentile. Wynne Wilbur, associate professor of art in ceramics, has been invited to participate in two shows of contemporary ceramic work. The first is an online gallery that will be a regular part of the website for “Ceramics: Art and Perception,” a magazine that has recently moved its headquarters from Australia to the United States. The second show will be a display of functional ware by five potters from around the country. Sponsored by Imagine Gallery in Skaneateles, N.Y., the show, “A Sip,” will include a set of drinking vessels and an accompanying pouring piece that complements the theme from each artist. Glenn Wehner, professor of animal science, was selected as the Sigma Alpha professional agriculture sorority’s advisor of the year at the organization’s recent national convention. 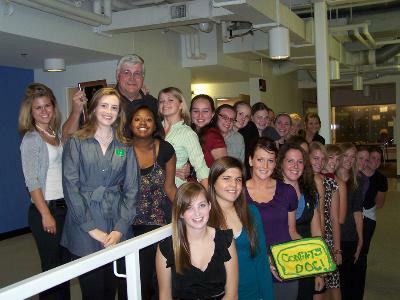 Glenn Wehner and the ladies of the Omicron Chapter of Sigma Alpha, upon presentation of the National Advisor of the Year award. The Stargazers Astronomy Club will host an Observatory Open House from 7-10 p.m. Nov. 9 at the Observatory at the University Farm. Service Board grant applications are due by noon Nov. 10. Applications are available online at http://serviceboard.truman.edu and must be submitted to Baillie Cloyd in the Student Union Building Room 1111. The Advertising and Public Relations Organization and Career Center will sponsor Suzanne Berry at 5 p.m. Nov. 10 in the Student Union Building Georgian Room B. A Truman alumna who has appeared on various national media outlets, Berry will speak about her career in design and public relations at Hallmark. College of Bellewode, a student group devoted to historical re-creation of the middle ages, will host a bake sale and Toys for Tots collection from 10 a.m.-4 p.m. Nov. 12 on the quad. Cash donations for Toys for Tots will be accepted. A medieval dancing demonstration will occur at noon. University Counseling Services will offer Question, Persuade, Refer (QPR) Suicide Prevention training at 10:30 a.m., 11:30 a.m. and 12:30 p.m. Nov. 12 in the Student Union Building Georgian Room B as part of the Mental Health Awareness Week events organized by the student organization Active Minds. QPR trains people how to recognize warning signs for suicide and intervene to prevent suicide. The QPR approach is to “question” a person about suicide, “persuade” the person to get help and “refer” them to the appropriate resource. For more information, contact Becky Brandsberg-Herrera brandsberg@truman.edu. The Quincy Symphony Chorus will present "Jubilant Song" at 7:30 p.m. Nov. 13 at the Salem Evangelical United Church of Christ. Admission is free for all Truman faculty, staff and students with an ID. The Society of Urban and Ethnic Dance Excellence (SUEDE) will host showcases at 3 p.m. Nov. 14 and 7 p.m. Nov. 15 in the Student Union Building Down Under. Admission is free. The showcase encompasses many forms of urban and ethnic dance, including hip hop, poi, krump, pop and breakdancing. Parental discretion is advised for explicit lyrics and content. 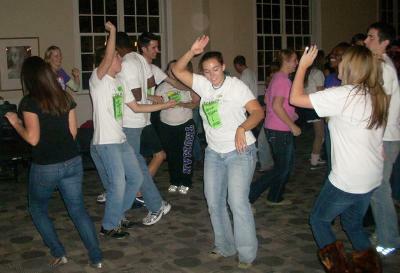 Tau Lambda Sigma will sponsor a trivia night at 6 p.m. Nov. 15 in Magruder Hall 2001. The cost is $2 per person, with half of all proceeds going to the winner’s charity of choice and the rest going to the American Cancer Society. Phi Sigma Pi will sponsor the Giving Tree from 11 a.m.-2 p.m. Nov. 17-18 and Nov. 30-Dec. 2 in the Student Union Building. Students, faculty and staff are encouraged to take ornaments and purchase items for children who may not otherwise receive gifts this holiday season. Ornaments are also available by contacting jcr3482@truman.edu. Ionesco’s “L’avenir est dans les oeufs”(The Future is in Eggs) will be performed in French by Truman students at 8 p.m. Nov. 17 and 18 in the Student Union Building Activities Room. A French-English copy of the play is available at http://www2.truman.edu/~plobert. For more information, contact Patrick Lobert, professor of French, at 785.4072 or plobert@truman.edu.